We catch up with our good friend and actress Grace Dove. From a young child who dreamed of acting in Hollywood to performing alongside our era’s iconic actors, Grace Dove’s journey has been fulfilling thus far. 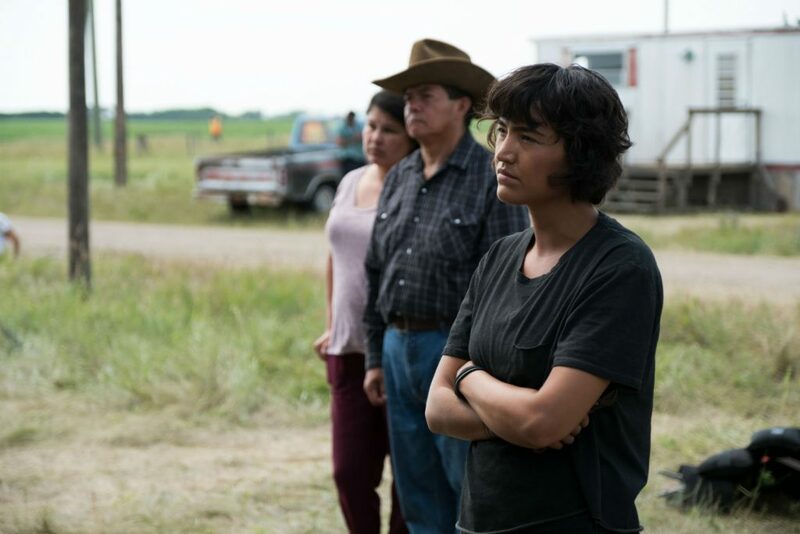 We sit down with the First Nations actress where she shares with us her humble beginnings, what it was like to star in The Revenant and How It Ends, and how her role in her most recent flick is a big step towards bringing positive representation of indigenous people to the big screen. Grace Dove is probably one of the modest people I know. Of course, I saw her on the big screen, but it wasn’t until I met her in person at Phoenix Fashion Week a few years ago when I indeed became a fan of hers. Despite just arriving at the hotel fresh off a flight, she looked beautiful and humble. She was soft-spoken and, yet, full of energy. At the time, it was right after The Revenant took home a few Oscars, so I brought up the film and told her how much I loved it. I remember her smile and how she was so excited to talk about the opportunity of being in such a movie. Again, I got the opportunity to sit down and catch up with Dove last week. 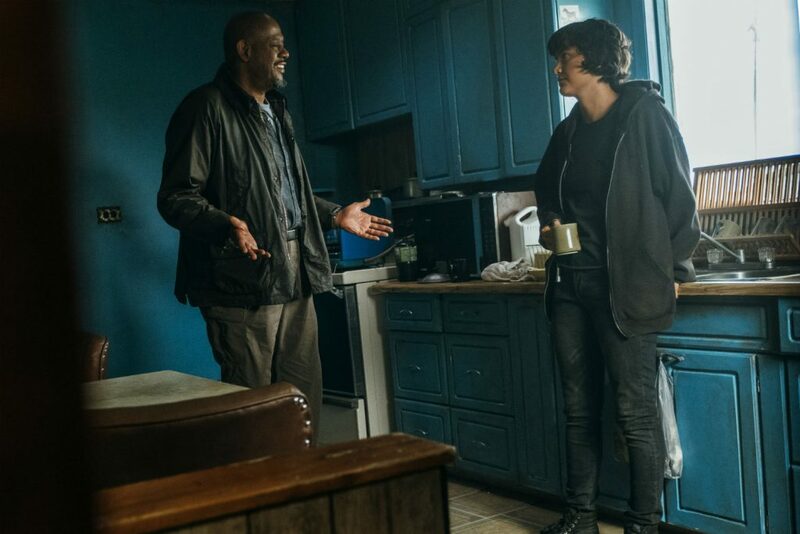 This time, it’s after the premiere of the Netflix-produced, Forest Whitaker-led film How It Ends. It’s interesting to learn that when she had some control of her character in How It Ends, it shows Dove’s contributions to the movement of dismantling stereotypical roles and getting accurate portrayals of Native Americans and First Nations people in Hollywood. To explore Dove’s journey, I wanted to start from the beginning. Dove is Secwepemc from Tsq’escen’ (Canim Lake Band) near 100 Mile House, British Columbia, Canada. Her father, who’s filmmaker *NAME*, took her on visits to Hollywood throughout her childhood. With the help of her father, she became interested in acting and landed a part as a correspondent of the Prince George TV children’s show Splatterday at the age of 11. “After that, I knew I wanted to pursue acting more in-depth,” she says. She was also a co-host of the reality adventure TV show UnderExposed. Dove then moved to Vancouver to pursue her passionate career as an artist and actor, where she graduated from Vancouver Film School. After a string of unsuccessful auditions, she was cast to star as explorer Hugh Glass’ wife in the Oscar-winning hit The Revenant. Not only did her career take off, but her acting chops improved from working alongside artists Leonardo DiCaprio, Tom Hardy, and director Alejandro González Iñárritu. Most recently, Dove played badass Native American tough chick Ricki in the newly dropped Netflix film How It Ends where she starred alongside very well-known actors Forest Whitaker and Theo James. How It Ends tells the story of a man in search of his pregnant fiancé in the aftermath of a mysterious apocalypse that pretty much left the nation paralyzed with no electricity, fires burning out of control and dangerous superstorms lighting up the skies. You immediately notice Ricki as James’ and Whitaker’s characters come across her reservation, Pine Ridge in South Dakota. We couldn’t help but laugh at her “Chill! Holeh.” response to Whitaker’s character and the mindblowing statement later on in the film: “The irony. Cheyenne, Chinook, Chickasaw, Apache, just think it’s funny that the army named its helicopters after tribes they tried to wipe out,” which left Whitaker and James’ characters speechless. You can sense Ricki’s tough exterior and fearless spirit from the get-go, which made her personality so relatable. For Dove, whose continually traveling between Canada and the U.S. for projects, it’s only up from here. “The work never ends, there’s no such thing as a 9 to 5 for an artist,” she explains. When asked if she has any projects coming up, she says there’s one particular movie opportunity in the Fall she knows her Native community will be proud of. Unfortunately, she can’t give any details about the film but promises to update me when she can. Right now in her downtime, she’s spending time with friends and family before her schedule speeds up again. When she is not exploring a script or auditioning, you can find Dove outdoors ripping down the slopes, climbing a rock face or doing photography.